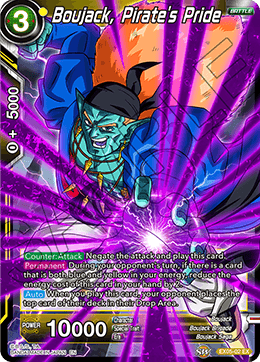 : Choose up to 1 《Agent of Destruction》 card with an energy cost of 4 that is both blue and yellow from your deck, play it in Rest Mode, shuffle your deck, then place this card at the bottom of its owner's deck. 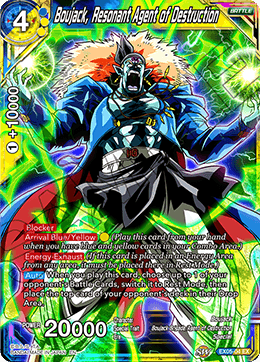 Negate the attack and play this card. During your opponent's turn, if there is a card that is both blue and yellow in your energy, reduce the energy cost of this card in your hand by 2. 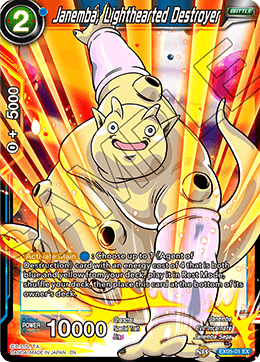 When you play this card, your opponent places the top card of their deck in their Drop Area. 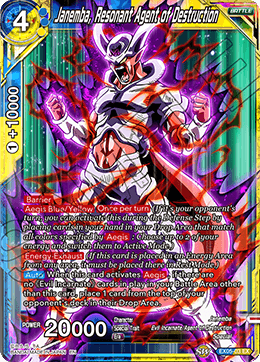 When this card activates [Aegis], if there are no 《Evil Incarnate》 cards in play in your Battle Area other than this card, place 1 card from the top of your opponent's deck in their Drop Area. When you play this card, choose up to 1 of your opponent's Battle Cards, switch it to Rest Mode, then place the top card of your opponent's deck in their Drop Area.